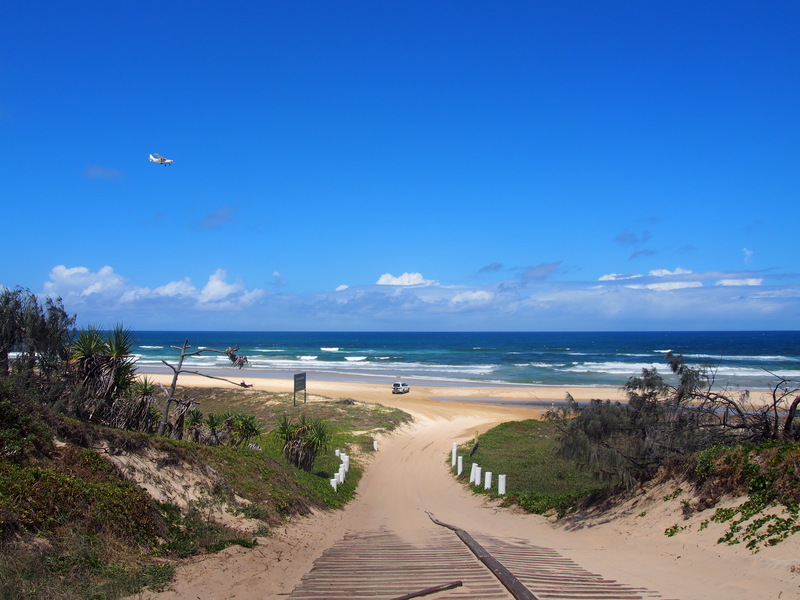 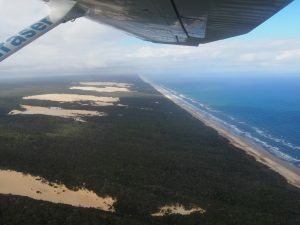 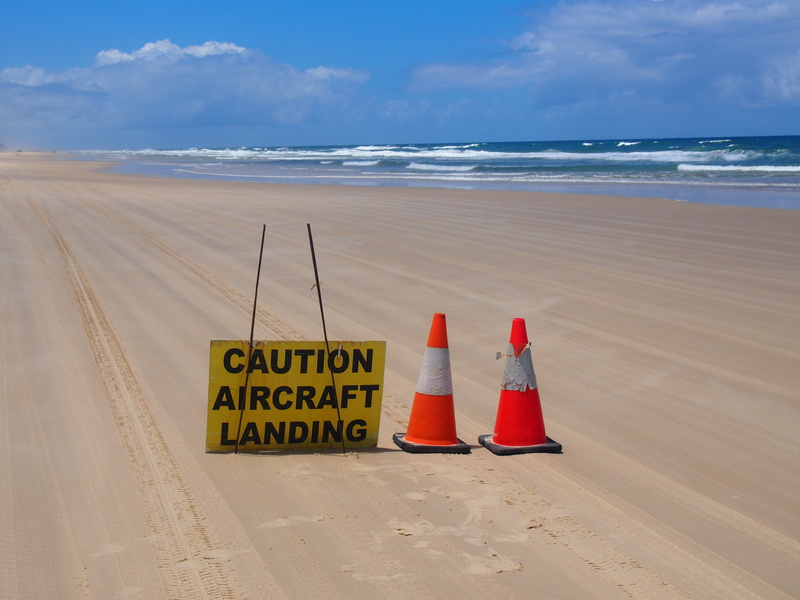 120km long and 15 km wide Fraser Island is the largest sand island in the world. 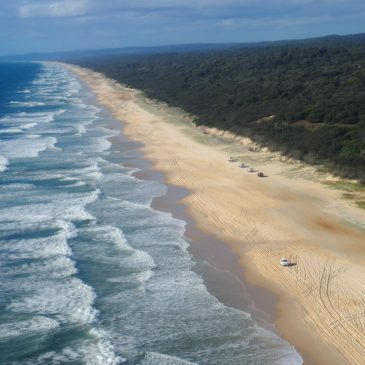 It got giant sand dunes, an highway right on the beach, the only rainforest that grows on sand, incredibly blue freshwater lakes and crystalline creeks. 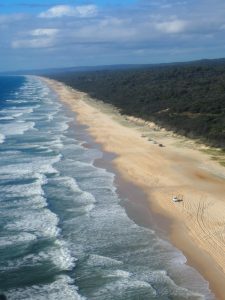 It is truly a paradise we couldn´t miss at Australia´s east coast! 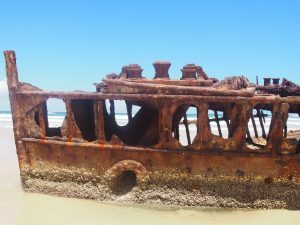 Most tours that come here include a ferry and a bus with 20 to 40 people. 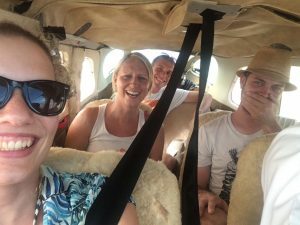 We were lucky to share with an Austrian couple and get a fly & drive ticket for exactly the same price as the standard tour. 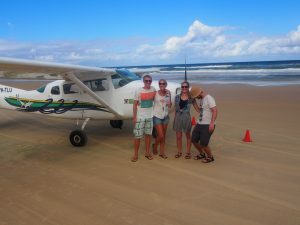 That is not the usual price, we were just lucky to be there at the right time because someone crashed a car the day before, so we were able to share. 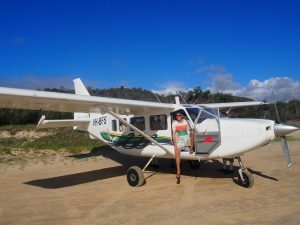 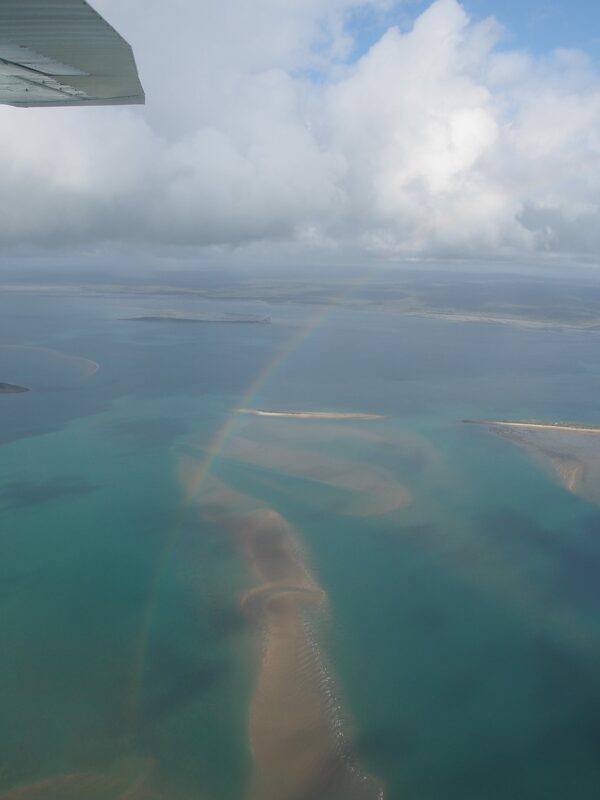 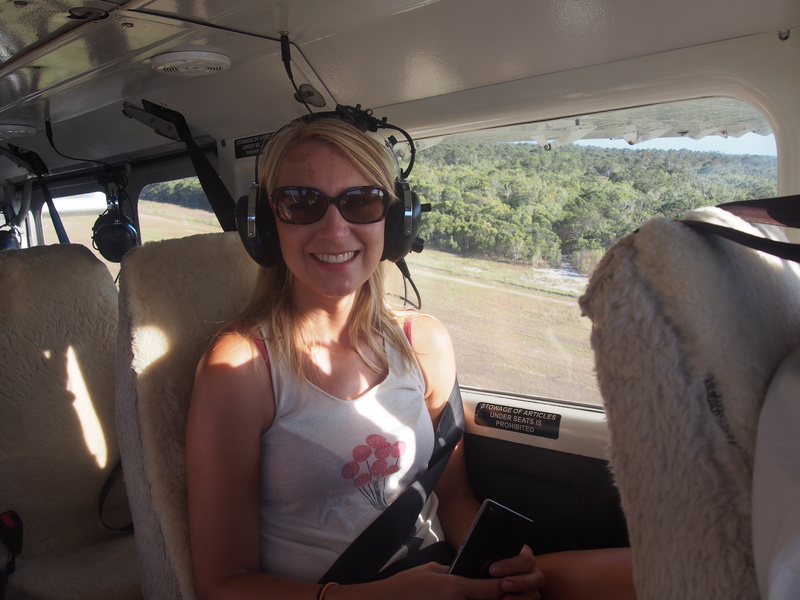 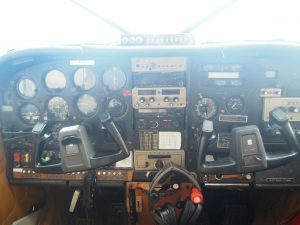 So we got up early in the morning and went to Hervey Bay´s airport for our private flight in a small plane over to Fraser Island. 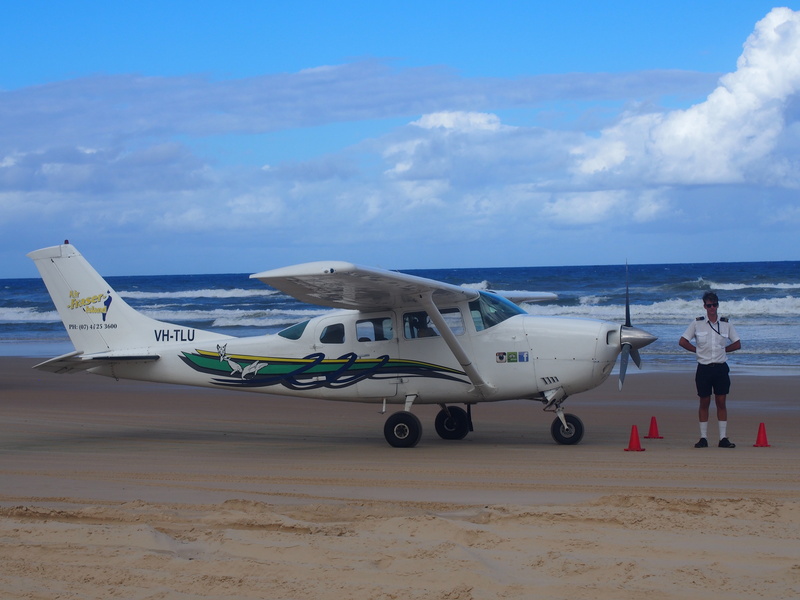 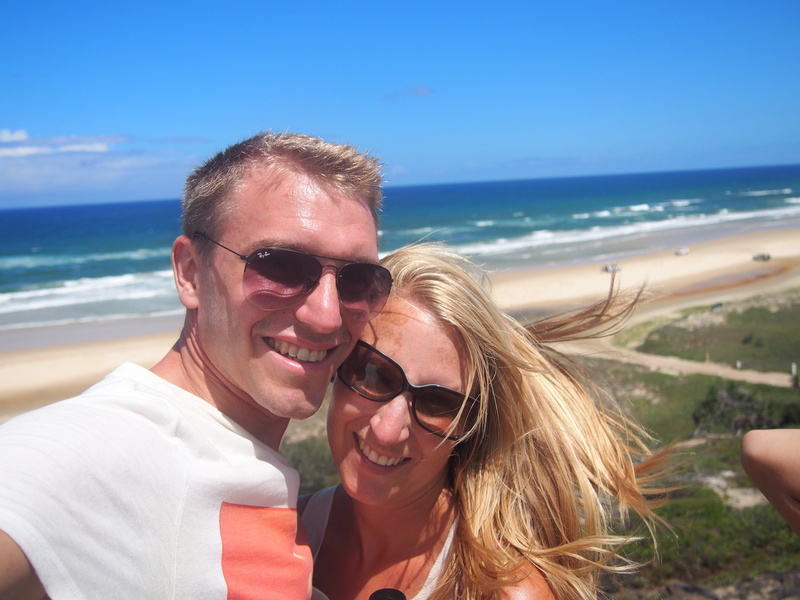 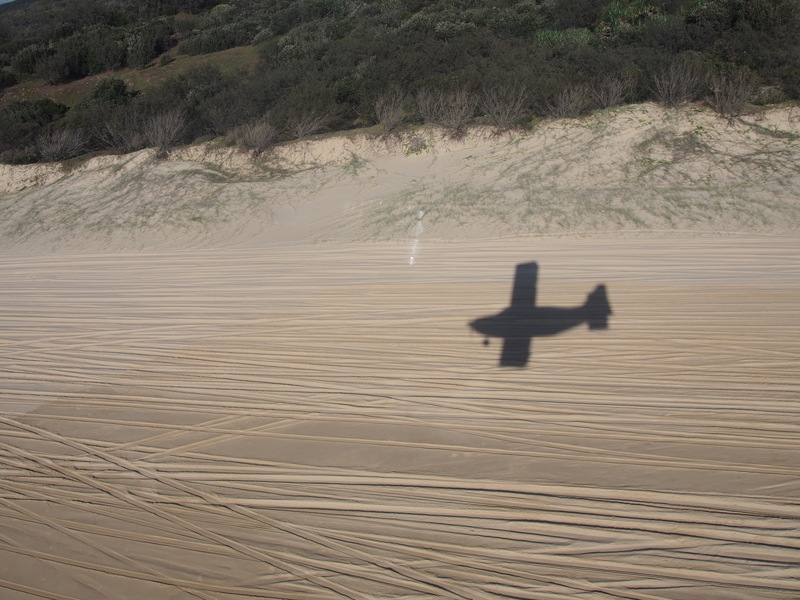 The flight took about 30 minutes and the most special part – we landed right on the beach! 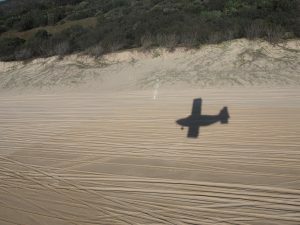 It is less bumpy to land in the sand than expected. 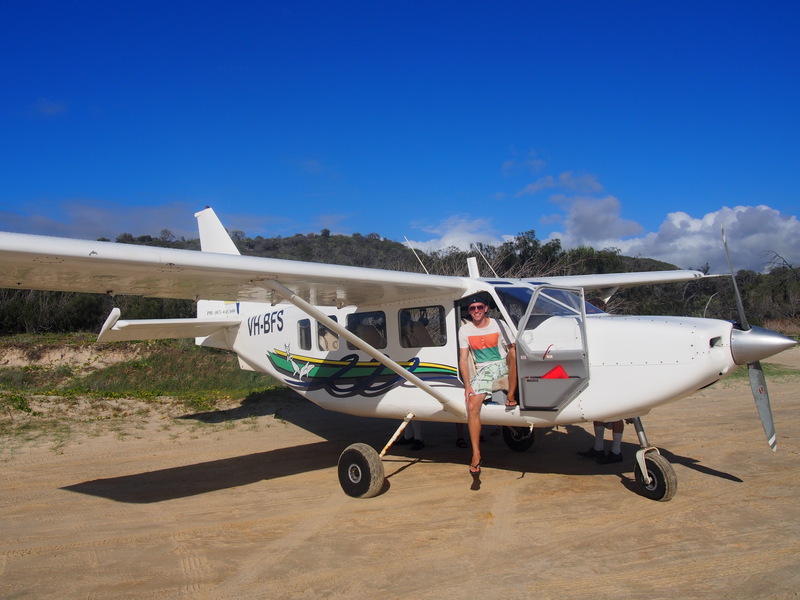 We felt a bit like rockstars when we got of the plane and saw the best 4WD on the island waiting for us right there. 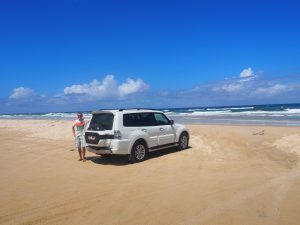 The perfect car for this trip! 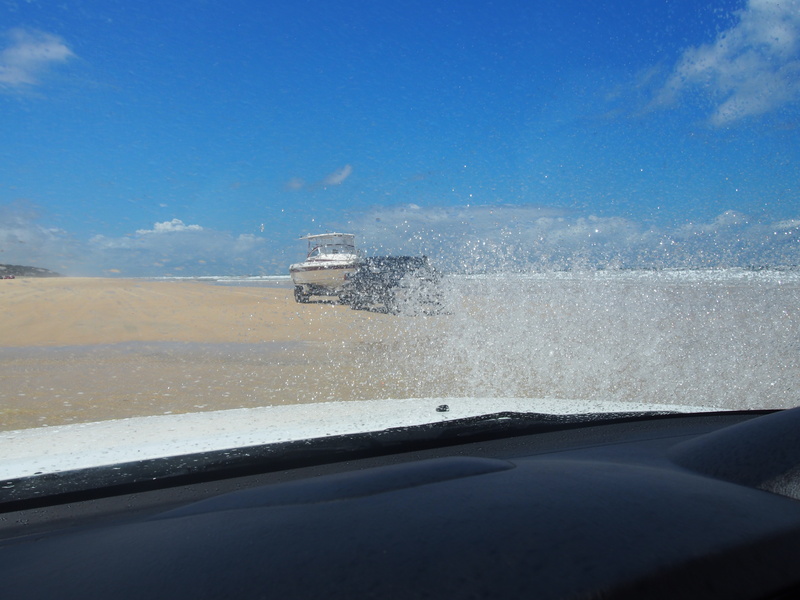 Since there is only sand on the island and no roads, you need a good 4WD to drive here. It was high tide in the morning, so we first made our way to Lake McKenzie. 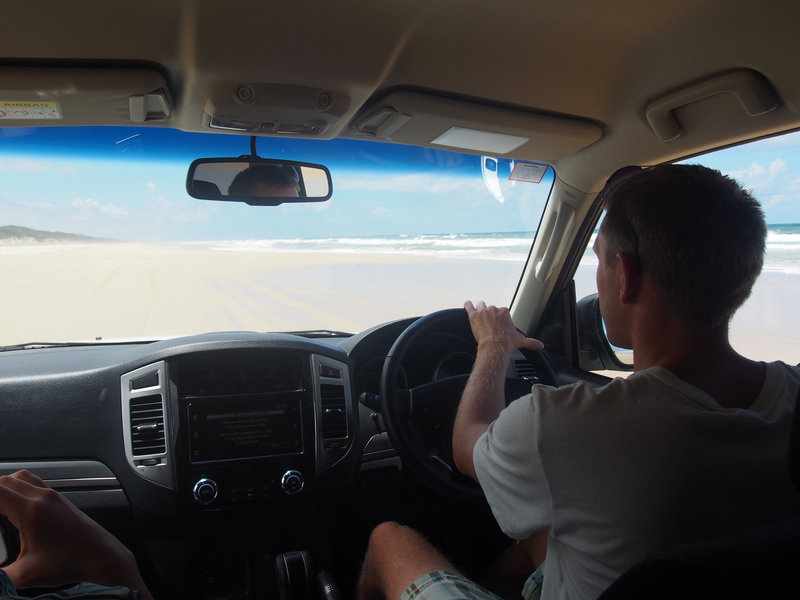 The drive was a 12km bumpy ride through the sand dunes, quite difficult to drive! 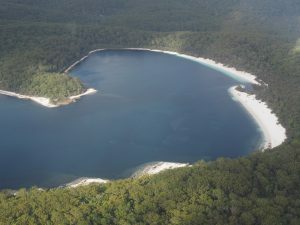 When we arrived we were rewarded with the most beautiful lake ever! 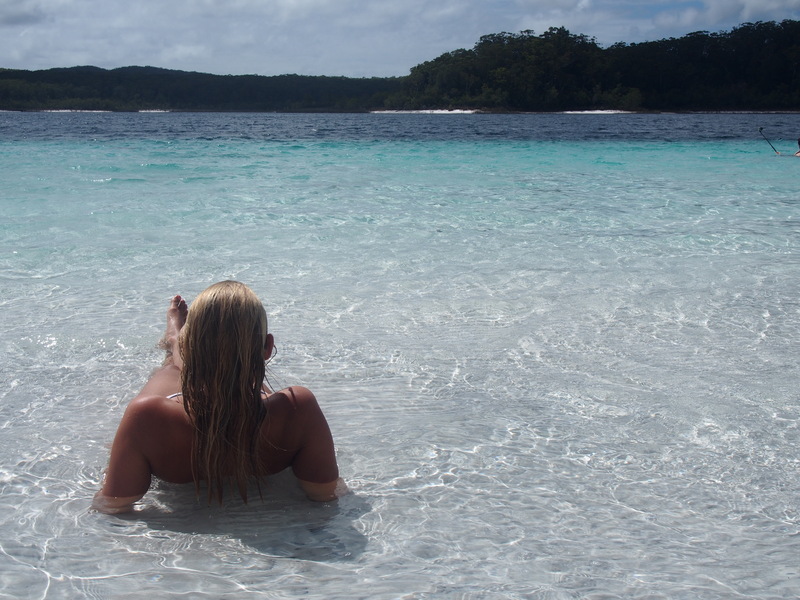 Fine sand and crystal clear fresh water. 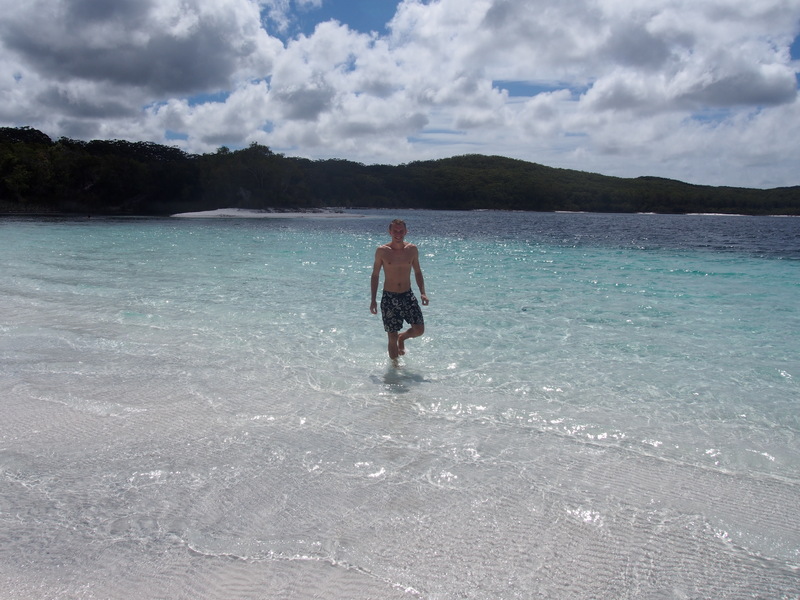 It is nicer than many beaches we have seen and is even comparable to Whitehaven Beach! We spent some time there swimming and relaxing on the beach before the big tour buses arrived. 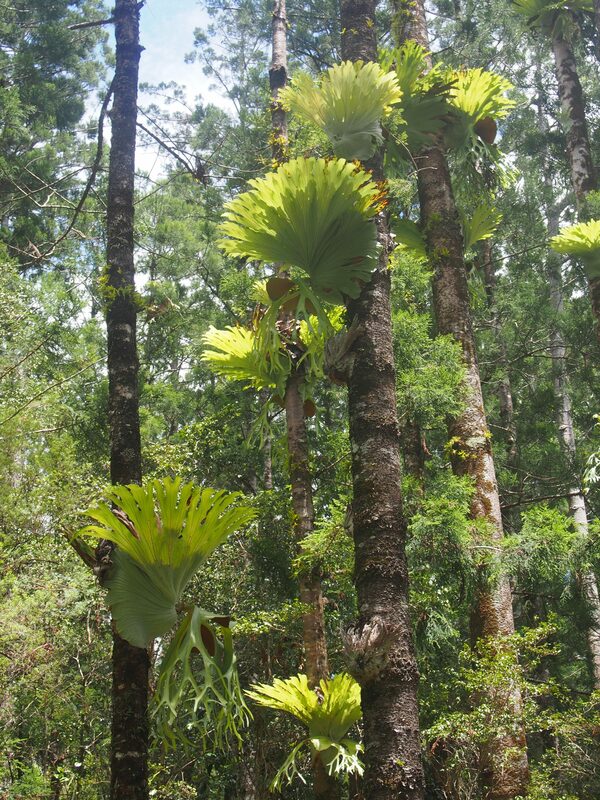 On our way back to the beach we stopped at Central Station, the former main hub for the logging industry. 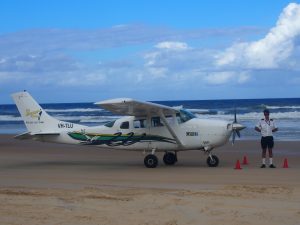 We had lunch away from the beach. Because of the dangerous dingos, it is not allowed to eat anywhere else than in certain areas. 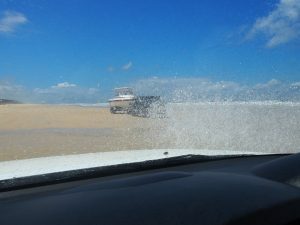 After that, we started the drive along the beach. We got up to Cathedral Beach, which is a 45 minutes drive. Maximum speed on the island is 80 and it´s really fun to drive through the fresh water creeks and the sand dunes. 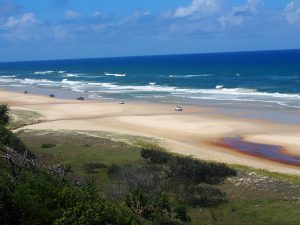 At cathedral beach, there is a nice lookout to the beach highway. 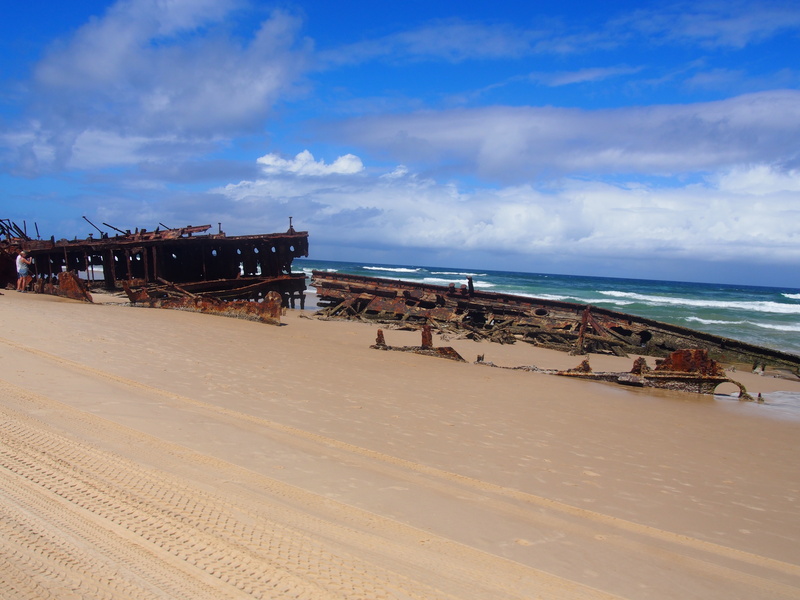 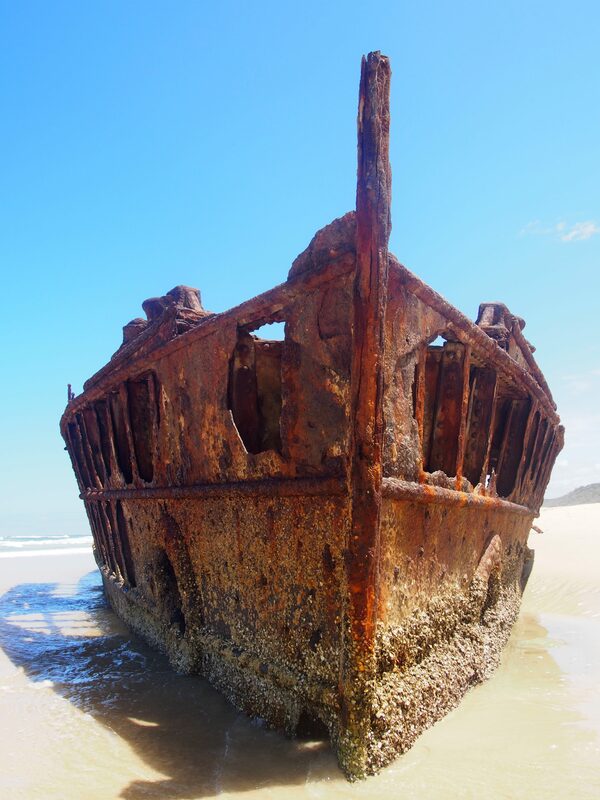 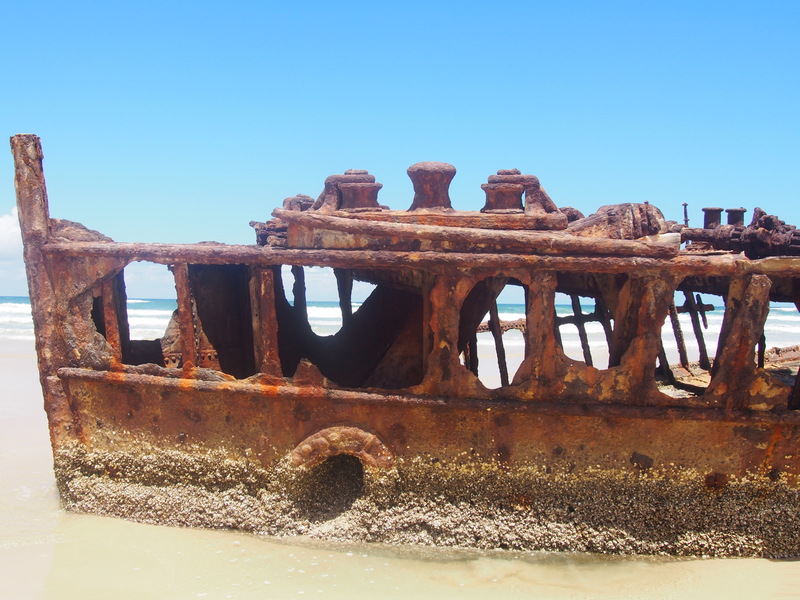 Further south lies the wreck of a ship that stranded here in 1935 and was never taken away. 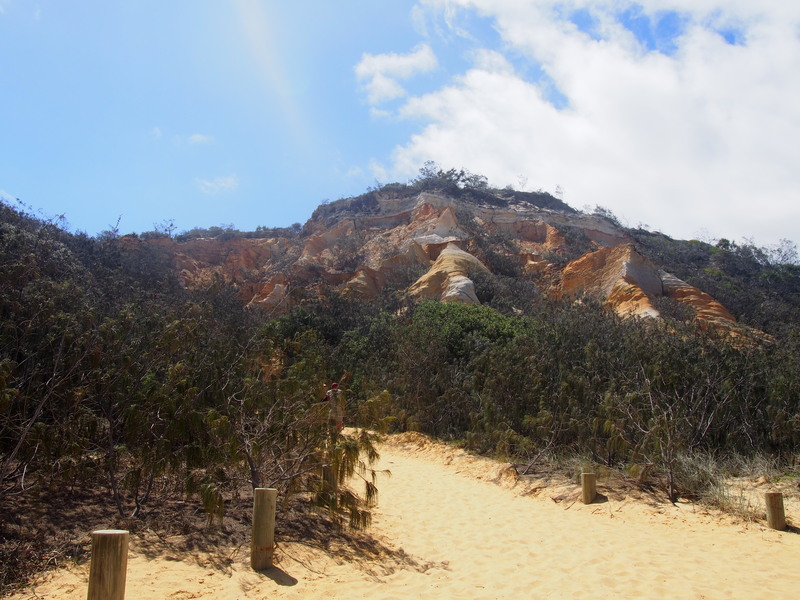 Our next stop was the pinnacle – coloured sand cliffs right on the beach. 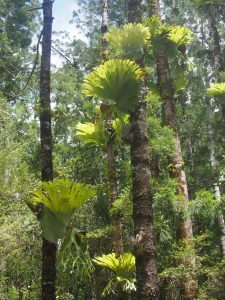 Very fascinating. 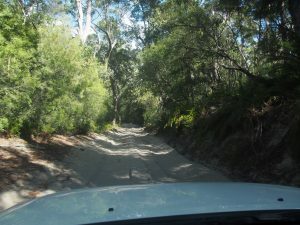 On our way back we stopped for another swim at Eli creek. 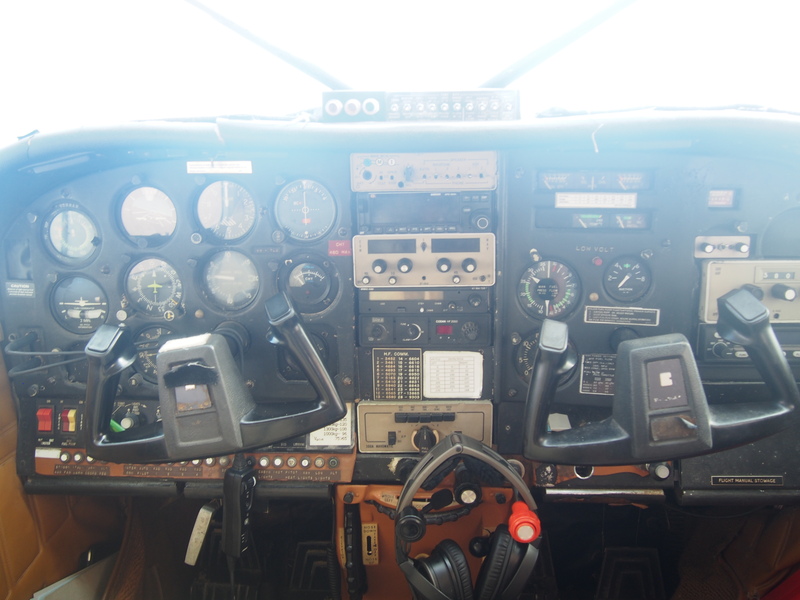 We then got back to get our flight to Hervey Bay. 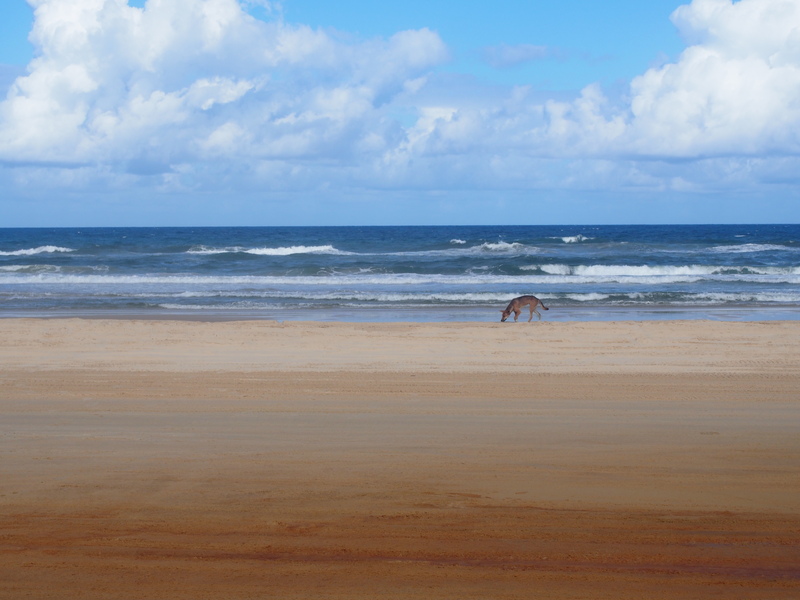 In the end we were lucky to see a dingo in the last minute before we left. 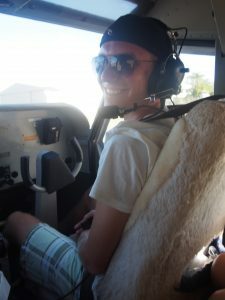 We left in an even smaller plane than before and our pilot James looked like he was only 15 years old! 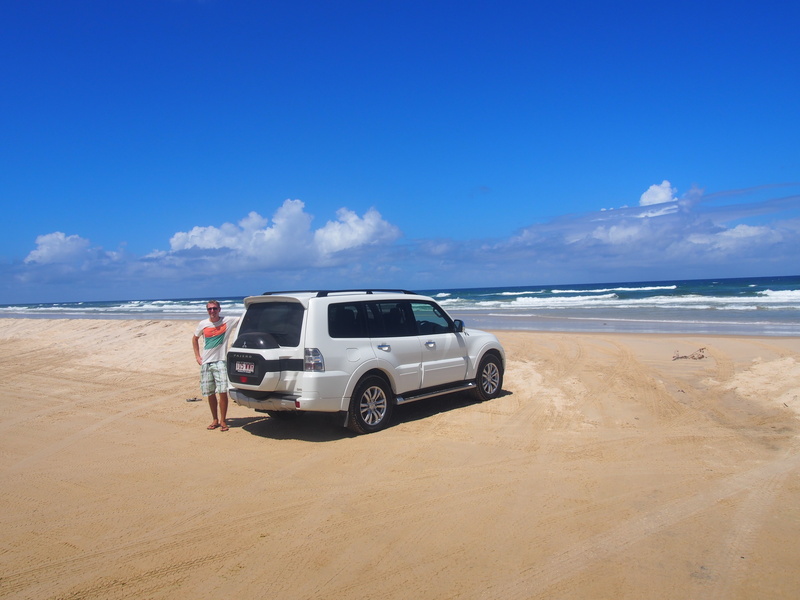 It was a perfect day and we can recommend anyone going to Fraser to get their own car. Driving is a big part of the fun here!